Owning a piece of silver is like owning a piece of history, finding markings on silver can sometimes be quiet difficult. Each unique piece is stamped, or hallmarked, with defining markings from the maker and the era it was verified in. If your silver piece has no markings, you probably do not have a legitimate piece. 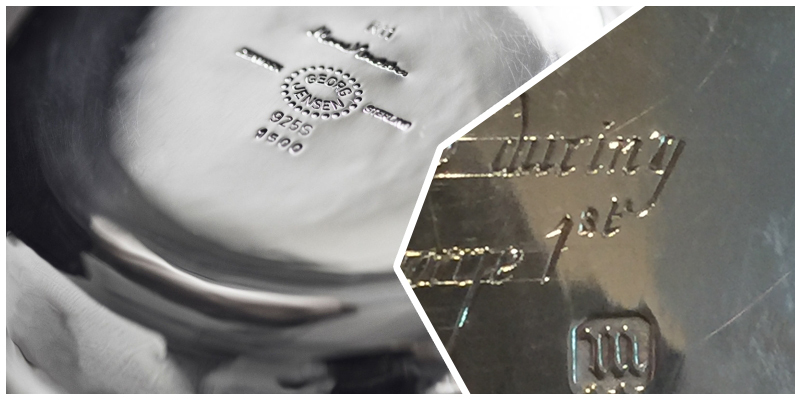 It is important to learn how to identify markings on silver in order to properly date and valuate each piece. To identify markings, you should be able to locate them in key places. You may need to clean up the piece first though. Due to alchemical properties of silver and the base metals, usually copper, needed to strengthen the soft metal, silver is highly susceptible to tarnish. If your silver piece is covered in a soot like or blackened layer, gently take a clean dry cotton cloth to rub away the aged varnish using a specialized cream made for silver. Take care to begin in one area and in a circular motion methodically clean the silver. You do not need water or any harsh chemical. These can damage your historical relic. 1. On the underside of a vase, tea set, or any novelty object that rests on a flat surface. 2. On the underside of the handle of flatware where there is enough surface area, generally at the end of the stem. 3. On the back side of pieces that stand upright or hang such as picture frames. Stamps are applied in the places that do not detract from aesthetic quality and where there is enough room to punch them without puncturing thin silver or damaging any edges. They also may not all be in a neat row, but placed in different places along the piece. Unfortunately, over the years there have been individuals who try to reproduce valuable markings in an effort to sell counterfeit articles. These fraudulent markings can easily be identified by knowledgeable professionals who understand the complicated and authoritative laws that have regulated markings on silver for centuries. 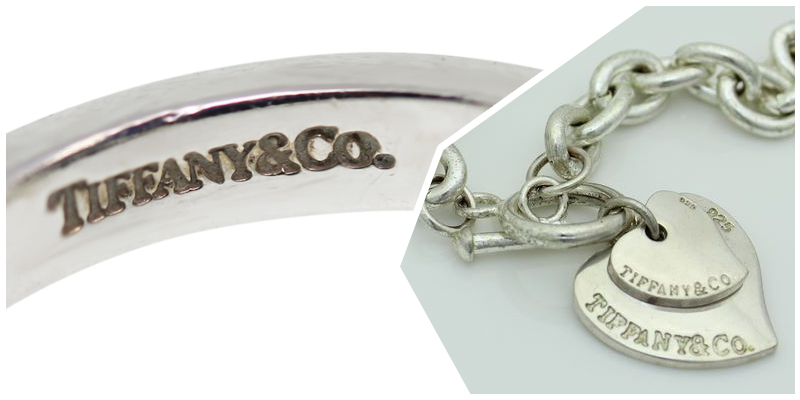 The most commonly forged markings on silver are the ones that bring the most value such as Tiffany and Unger Bros. The easiest way to identify a counterfeit markings on silver is with a side by side comparison of original markings either from an authentic piece or picture from a credible reference. For a collector, the learning process never ends. There are over 12,000 documented silver marks and that list continues to grow as research is part of the enjoyment and reward. 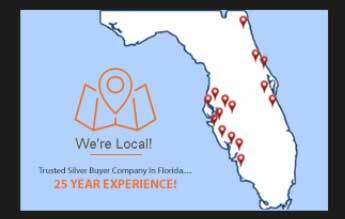 Over time, a knowledgeable collector or dealer will become familiar with the nuances of identifying markings and have experience distinguishing their validity and the unique story each silver piece has to tell. If you have found markings on your silver object, let a collector take a look and give you the needed information to determine its value.